The most versatile instrument for the measurement of Moisture content in Grains, Seeds and Pulses. Opera table on 220 V 50Hz and Battery. 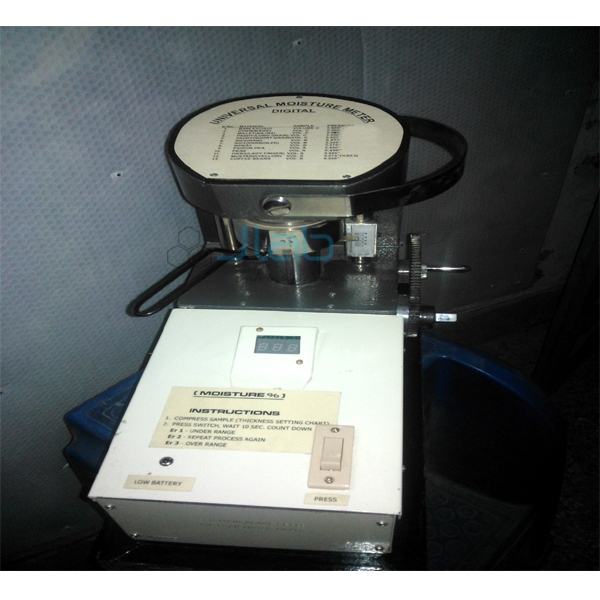 The instruments is made to operate very easily and takes less than a minute to complete the test. Rugged in construction, aluminum casted and the electrical unit is contained in. The bevel gear mechanism is of best steel. The whole instrument is protected in wooden box. Note:- The instrument is approved by food corporation of India Central Ware Housing Corporation, Food Supply Department & Other Agriculture Institutions. 19.5 Kg. without wooden cover.